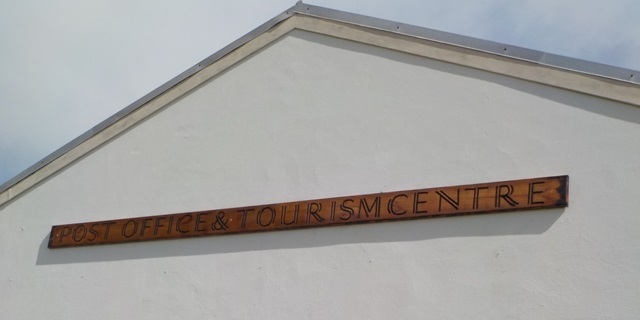 Due to Tristan’s harsh climate the Post Office and Tourism Center outdoor sign had begun to deteriorate. 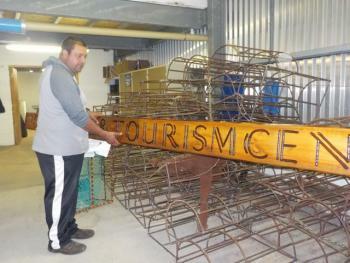 Instead of getting another sign ordered from South Africa it was decided it would be nice to have it done locally. 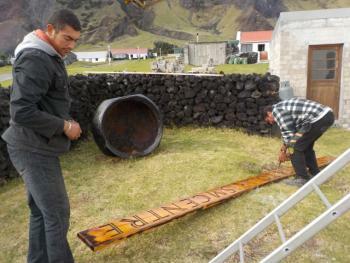 Left: Larry Swain crafting the sign. Over the last few months Larry Swain has taken up crafting small island signs from wood as a hobby and it was decided that he would be the perfect person to craft our sign. 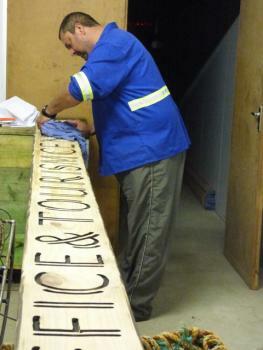 Larry quickly set to work in his own time and was kept very busy over the last few weeks crafting and preserving the sign. 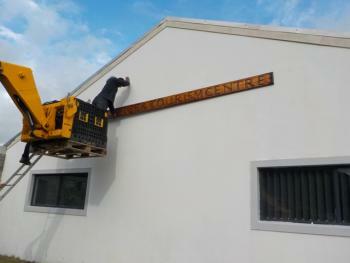 We are pleased to say it has now been completed and proudly hang on the gable end of our Centre. Because it was made locally on the island it feels much more unique than our last one. Larry has become very caught up with his hobby and would like to offer a bespoke service made from wood. Presently some of his wood work contains lettering and some is drawings of local themes, please see some of his work in the picture on the right. The crafting has been done on imported wood but Larry is very interested in finding pieces of local wood from the mountainside and beach area to work with. 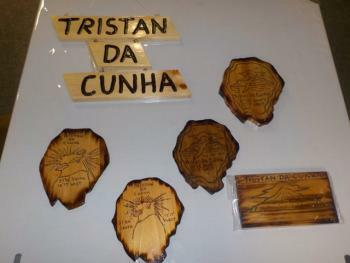 If you are interested in having something unique made from wood on the remotest island please contact the Tourism Department on tourism@tdc-gov.com, we like nothing more than to help promote local ideas.